Mesothelioma remains an incurable disease. However, your doctor may recommend treatment options to try to relieve your symptoms, improve your quality of life, and potentially help you live longer. Mesothelioma is a diffuse tumor and typically does not develop as just one discrete cancerous growth. Instead, it often spreads along nearby surfaces, nerves, and blood vessels, making it hard to treat. Mesothelioma treatments to date have not lead to a cure but are done to reduce symptoms and help extend life. Weitz & Luxenberg does not provide medical advice, and the decision of which treatment options are best in any given situation is a matter between a patient and his or her doctors. When choosing treatment for mesothelioma, doctors will consider three main factors: the location and extent of the tumor, whether it has spread to lymph nodes or other organs, and a patient’s health and personal wishes. Mesothelioma cancer often advances quickly after onset and progress in prolonging survival has been slow. With support from Weitz & Luxenberg, researchers at the Vaccine & Immunotherapy Center (VIC) at Massachusetts General Hospital have been able to accelerate their mesothelioma cancer research, testing more treatments at a faster rate. In addition to immunotherapy treatments, like those being investigated at the VIC, other emerging methods to treat mesothelioma include gene therapy and photodynamic therapy. Mesothelioma is a rare, asbestos-related cancer. Doctors diagnose only about 3,000 new cases each year. For this reason, many doctors lack extensive experience in treating the disease and may refer you to specialists who are more familiar with treating mesothelioma patients. Depending on the stage of your cancer and the treatment options available to you, you may have different types of doctors as part of your treatment team. Thoracic surgeons treat diseases of the lungs and chest with surgery. Surgical oncologists treat cancer with surgery. Radiation oncologists treat cancer with radiation therapy. Medical oncologists treat cancer with medicines, such as chemotherapy. Pulmonologists specialize in medical treatment of diseases of the lungs. Other health professionals, including physician assistants, nurse practitioners, nurses, respiratory therapists, and social workers, may be involved in your treatment, too. Seeking a second opinion is recommended when possible. It’s also important to understand the likely benefits and possible risks associated with the different treatment options. Diagnosed with mesothelioma after being exposed to asbestos? Explore your legal options. Surgery is not likely to cure you of mesothelioma, but there’s a chance it could help you live longer. Doctors almost always recommend surgery for patients whose mesothelioma has not spread from its original site to other parts of the body. In instances of more advanced mesothelioma, doctors evaluate whether to pursue surgery on a case-by-case basis. In general, patients whose mesothelioma can be operated on are likely to live longer than patients whose cancer has spread too far to be removed. Surgery to treat mesothelioma usually has one of two goals: to remove as much of the cancer as possible or to remove a portion of the cancer to relieve pain and other symptoms caused by the tumor. A surgeon may try to remove all of the visible cancer if you are in otherwise good health and your mesothelioma has not spread too far from the original site. This type of surgery is being done in some major cancer centers and has resulted in long remissions for a small number of people. However, even when a surgeon removes all of the cancer he or she sees, residual cancer cells can grow and divide, causing the cancer to return. The goal of palliative surgery is to relieve or prevent symptoms by removing a portion of the cancer. When mesothelioma is advanced, the tumors have spread beyond where the cancer started, and it can be too hard for a surgeon to remove all of the cancer. Palliative surgery may be an option for these late-stage cancer patients. Doctors may also recommend this treatment if a patient is too ill for a more aggressive surgery. Mesothelioma is classified by where it starts in the body. The location of a tumor can play a role in determining what type of surgery options, if any, are available to you. Unfortunately, with all types of mesothelioma, by the time you consider surgery, the tumors often have spread too far for a surgeon to remove them completely. Doctors may recommend one of several surgical procedures to treat pleural mesothelioma, which is cancer on the lining of the lung. However, sometimes it’s not until after they start operating that surgeons are able to tell the full extent of the cancer and which surgery may be the most appropriate. Extrapleural pneumonectomy is an extensive operation in which surgeons may remove an entire lung and its lining, several nearby lymph nodes, part of the diaphragm, and the lining of the sac around the heart, known as the pericardium. Surgeons then may need to reconstruct the diaphragm and the pericardium with man-made materials. Are healthy enough for the procedure. Don’t have any other serious illnesses. Pleurectomy/decortication is a less extensive operation that can help control the buildup of fluid, improve breathing, and reduce pain caused by pleural mesothelioma. During pleurectomy/decortication, surgeons remove part of a lung and its lining, as well as the entire visible tumor. Unlike with extrapleural pneumonectomy, surgeons typically do not remove the lung and diaphragm when performing pleurectomy/decortication. Surgery that aims to remove as much of the mesothelioma as possible but generally removes less tissue than in a pleurectomy/decortication. Surgery to drain fluid that has accumulated around the lungs and to stop the buildup of fluid by irritating the pleura. Surgery to remove the cancer and some of the healthy tissue around it. Typically, pleural mesothelioma surgeries have better results when followed by treatment options intended to kill any cancer cells that may be left. This treatment is called adjuvant therapy and may include radiation therapy, chemotherapy, and immunotherapy. 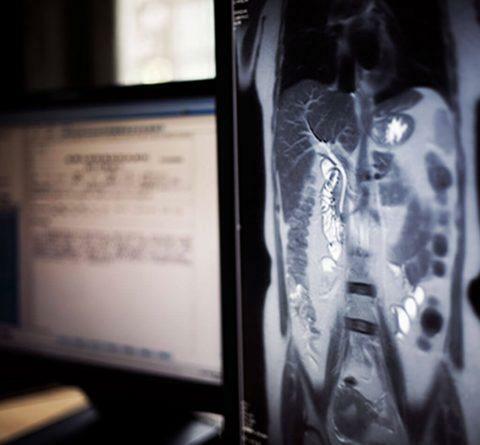 Like with other surgeries, operations to treat mesothelioma carry risks. The extent of these potential complications depends on the type of surgery and the person’s health before the procedure. Serious risks and side effects are typically less common with less extensive operations. Fluid buildup in the chest. To perform pleural mesothelioma surgery, surgeons must often spread patients’ ribs. As a result, patients may experience lingering pain at the incision site, and they may not be able to participate in all their normal activities for at least four to eight weeks. Peritoneal mesothelioma develops in the lining of the abdomen. Patients with this type of mesothelioma undergo surgery either to help ease symptoms or to remove a tumor from the wall of the abdomen and digestive organs. 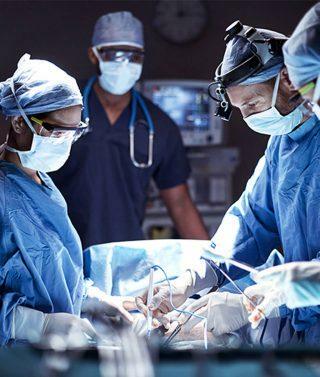 Debulking is a type of surgery in which surgeons try to remove as much of the mesothelioma as possible — even when that means also removing pieces of the intestine. When treating peritoneal mesothelioma, doctors may combine debulking surgery with intraoperative chemotherapy. This is when chemotherapy is given into the abdomen after the cancer is debulked (removed) but before the operation is completed. Doctors leave the drugs in for a short time, remove them, and then close the incision. In some cases, the chemotherapy drugs are heated. This is called heated intraoperative (or intraperitoneal) chemotherapy or HIPEC. After a surgeon removes all the visible cancer, he or she heats and pumps a mixture of anticancer drugs into and out of the abdomen to kill remaining cancer cells. Heating the anticancer drugs may kill more cancer cells, so debulking surgery combined with HIPEC can result in better outcomes. Cancers that form on the lining of the abdominal cavity often spread to the omentum, a layer of tissue that supports and protects the intestines and organs in the abdomen. As part of surgery for peritoneal mesothelioma, surgeons may remove the omentum. Treatment options for pericardial mesothelioma are few because this type of cancer develops on the lining of an extremely delicate organ: the heart. In some cases, surgery can help remove tumors from the sac around the heart. Testicular mesothelioma develops on the lining that covers the testicles, known as the tunica vaginalis. Surgeons typically can’t remove this type of mesothelioma completely. Most of the time, doctors only perform this surgery because they mistake the tumor for a hernia, only to realize after beginning surgery that it’s, in fact, a tumor. Chemotherapy is a cancer treatment that uses powerful drugs to stop cancer cells from growing, either by killing the cells or by stopping them from dividing. 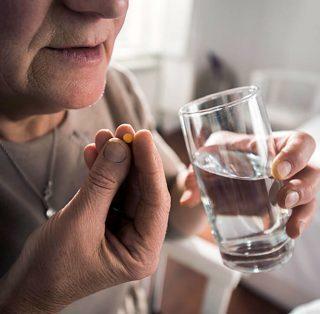 Doctors often combine chemotherapy with other treatments, such as surgery and radiation therapy, but the drug can also act as the primary form of treatment for patients who either opt out of surgery or are not good candidates for it. When surgery is an option, mesothelioma patients may receive chemotherapy before the procedure to try to shrink the cancer and reduce the chances it will spread. This is called neoadjuvant therapy. Patients may also receive chemotherapy after surgery (adjuvant therapy) to try to kill any cancer cells the surgeon may have missed. 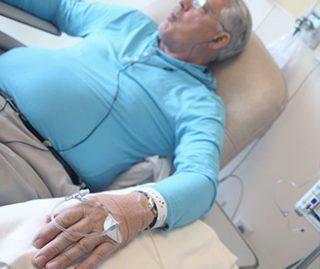 Chemotherapy may shrink the cancer or slow its growth, but it is not likely to cure it. The way medical professionals choose to administer the chemotherapy depends on the type and stage of the cancer they’re treating. Most patients receive chemotherapy drugs as a pill or in their veins as an intravenous infusion. Some doctors inject the medications directly into the part of the body where the cancer has formed. Type, stage, and extent of cancer. Responses to previous mesothelioma chemotherapy drugs. Other types of treatment a patient may undergo in the future. Doctors usually give chemotherapy in three- to four-week cycles, following each period of treatment with a rest period to allow the body time to recover. Doctors usually administer the treatment in two main ways: systemic chemotherapy and regional chemotherapy. Patients receive chemotherapy via pill or intravenous injection into the vein or muscle. The drugs enter the bloodstream and travel throughout the body to destroy cancer cells. Doctors use a small tube to inject chemotherapy drugs directly into the area of the body where the mesothelioma developed. Sometimes the drugs are heated before they’re injected. Your mesothelioma care team may use a combination of two or more anticancer drugs. This is called combination chemotherapy. Some patients, however, may not be able to tolerate more than one drug. Increased chance of infections (from having too few white blood cells). Easy bruising or bleeding (from having too few blood platelets). Fatigue (from having too few red blood cells). Once a patient stops chemotherapy treatment, these side effects typically go away. Some patients who undergo chemotherapy may turn to medications or other methods to lessen the side effects. Certain chemotherapy drugs can have other side effects, including nerve damage called neuropathy. This can sometimes lead to hearing loss or symptoms in the hands and feet, including pain, burning or tingling sensations, sensitivity to cold or heat, or weakness. Neuropathy and the resulting side effects may linger in some people but usually disappear once a patient stops treatment. For patients diagnosed with mesothelioma, doctors may recommend radiation as part of their treatment. Radiation from high-energy X-rays or other types of exposure can permanently damage the DNA of cancerous cells. This prevents the cells from spreading and can ultimately kill them. When cancer cells die, tumors shrink. As a result, symptoms tend to lessen. However, mesothelioma tumors are often challenging to treat with radiation therapy because they don’t form as one clear mass. This makes it hard to avoid nearby normal tissues when aiming radiation at the cancer. Treatment after surgery to kill small areas of cancer that surgeons may have missed. A palliative procedure to relieve symptoms of mesothelioma, including shortness of breath, pain, bleeding, or trouble swallowing, and to improve patients’ quality of life. Like with chemotherapy and surgery, doctors may use radiation on its own or in combination with other methods to treat mesothelioma. Radiation may be delivered in in two ways: external beam radiation therapy or brachytherapy (internal radiotherapy). External beam radiation therapy is the most common form of radiation therapy for mesothelioma. It uses a machine outside the body to send radiation to kill the cancer cells. It’s similar to getting an X-ray, but the radiation is much stronger. Although it can take your care team some time to get you into place for radiation therapy, each actual treatment lasts only a few minutes. Typically, mesothelioma patients who receive radiation undergo the treatments five days a week for several weeks. Doctors seldom use brachytherapy for mesothelioma cancer treatment. 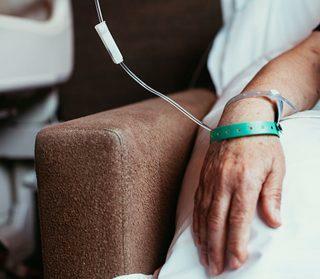 For this type of therapy, doctors place a radioactive substance sealed in needles, seeds, wires, or catheters directly into or near the cancer. The radiation doesn’t travel far, limiting the possible damage to nearby healthy tissues. Hair loss where the radiation enters the body. These usually go away once treatment stops. Over time, radiation therapy in the chest can damage the lungs and lead to trouble breathing and shortness of breath. Radiation therapy in the abdomen may cause in nausea, vomiting, diarrhea, and loss of appetite. The side effects are usually worse when doctors combine radiation therapy with chemotherapy. Researchers have developed newer therapies intended to attack specific cancer cells. These drugs and substances are called targeted therapies. Targeted therapies technically are considered chemotherapy, but they work differently from standard chemotherapy drugs, which have limited effect against mesothelioma. Targeted drugs attack specific parts of cancer cells that make the cancer cells unlike other cells. The drugs may also target cells that help cancer cells grow. Targeted therapies often have other, less severe side effects. This type of treatment typically causes less harm to healthy cells than chemotherapy or radiation therapy. Shut down or block chemical signals that tell the cancer cell to grow and divide. Kill the cells by changing proteins within the cancer cells. Stop new blood vessels that feed the cancer cells from forming. Trigger your immune system to kill the cancer cells. Carry a toxin to the cancer cell to kill it while leaving normal cells alone. A type of target therapy, monoclonal antibody therapy uses antibodies made in the laboratory that can identify substances in the body that help cancer cells grow. These antibodies attach to the substances, killing the cancer cells, blocking their growth, or keeping them from spreading. Monoclonal antibodies are given by infusion and can carry drugs, toxins, or radioactive material directly to cancer cells. Also a type of targeted therapy, kinase inhibitors block signals needed for tumors to grow. These types of therapies are currently being studied in the treatment of malignant mesothelioma. For some mesothelioma patients, participating in a clinical trial may be the best treatment option. It’s one way to get state-of-the-art cancer treatment and may be the only way to receive the newest cancer therapies. As part of the cancer-research process, clinical trials are meant to improve current treatments or to discover whether new cancer treatments are safe and effective or better than standard treatments. Researchers have conducted only a few large clinical trials of treatments for mesothelioma. Some clinical trials only include patients who have not yet received treatment. Treatments for patients whose cancer has not gotten better from other treatments. New ways to stop cancer from coming back. Different methods for reducing the side effects of cancer treatment. With no known cure for mesothelioma, scientists continue to look for better ways to prevent, treat, and even cure the deadly disease. A treatment that rallies the patient’s immune system to fight mesothelioma cancer. A therapy that uses a light-activated drug to collect and kill cancer cells. A treatment that attempts to add new genes to cancer cells to make them easier to kill. A therapy that involves putting a virus into the body to either infect and kill the cancer cells directly or cause the immune system to attack the cells. Alternative therapies are treatments patients use instead of a doctor’s medical treatment, while complementary methods are methods patients use along with their regular medical care. These methods might help relieve symptoms and help patients feel better, but many have not been proven to work, and some may be dangerous. You should consult your cancer care team about any method you are considering. When doctors recommend surgery, radiation therapy, or chemotherapy as a way to relieve or treat mesothelioma symptoms, keep cancer in check, or improve quality of life, it’s called palliative treatment. The family of a former Navy shipfitter who died earlier this year of mesothelioma received a verdict of against a manufacturer of boilers that were insulated with asbestos. If you have been diagnosed with mesothelioma or your loved one is living with or has died from the disease, we would be honored to assist you. For a free consultation, call (877) 516-9192 or fill out a form to speak with one of our compassionate and skilled attorneys.